The Carrie DVD and Blu-Ray does a fine job of answering the question: Why do we need another Carrie. Chloe Moretz is Carrie and Julianne Moore is her mother, and both chill in the re-imaginging of a Stephen King classic. Carrie Exclusive Giveaway: Win the Terrifying Blu-Ray! Carrie lands on DVD and Blu-Ray and we've got a chance for you to win a copy of the Blu-Ray. Chloe Moretz stars as Carrie, and she is creepy indeed! Carrie director Kimberly Peirce talks exclusively about bringing the Stephen King book to life for the second time. She also gives insight into the filming of Carrie and some of its toughest challenges. When it was announced that Carrie was being remade, it was met with disdain. Our Carrie review finds the remake entertaining, but wonders: Is it necessary? 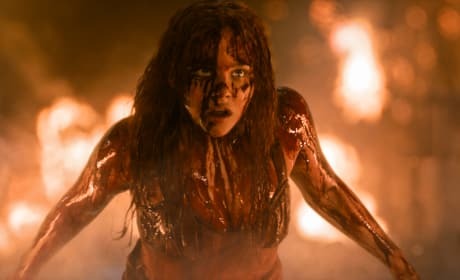 Chloe Moretz tells Movie Fanatic about recreating that iconic blood soaked prom scene in Carrie. Moretz also chats how she really identified with the outcast Carrie... especially in the Stephen King book. Julianne Moore stars in Carrie and for the lifelong Stephen King fan, she tells us it was a dream to join the remake's cast. Moore also recalls the book and the original movie and why it spooked her so much. A viral video created for the movie Carrie shows a coffee shop on what seems to be a normal day. When someone knocks over a customer's coffee, she appears to use telekinetic powers to make him pay. 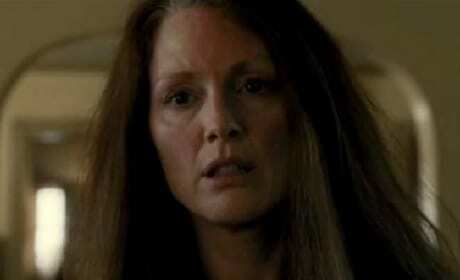 Carrie changes things up and sends her mother into the closet in the latest clip from Carrie. 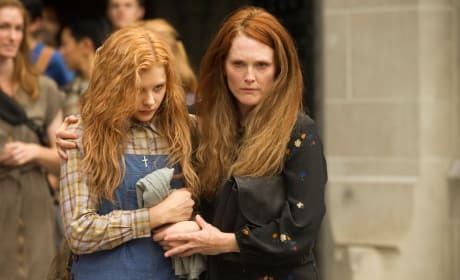 The remake of Carrie stars Julianne Moore as the ultra religious and slightly crazy mother and Chloe Moretz as the daughter with powers. The first clip for Carrie has arrived and it features the two stars that are the film's big draw. Chloe Moretz is Carrie and Julianne Moore is her mother, and they don't exactly get along. The latest trailer for Carrie has arrived and it is celebrating its newly annoited R rating. 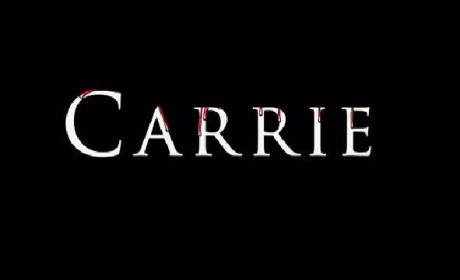 The studio behind Carrie had hoped for a PG-13, but seems to be embracing its inner R! The first TV spot for Carrie has landed and boy does Chloe Moretz have the Power. The remake of the Stephen King classic features Moretz as Carrie. Carrie Behind-the-Scenes Featurette: Don't Go to Prom! The iconic "don't go to prom" demand made by Carrie's mom in the original Carrie is even creepier in the remake, as seen in this behind-the-scenes clip. Chloe Moretz is Carrie and Julianne Moore is her "creepy" mom! Carrie is a remake of the 1970's film from Brian De Palma that starred Sissy Spacek. Carrie is from the book by Stephen King and in 2013, it stars Chloe Moretz and Julianne Moore.